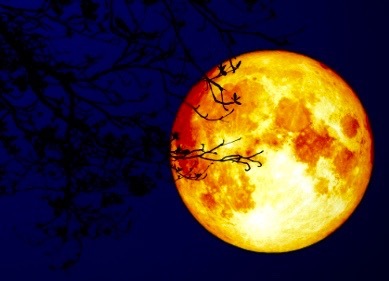 As one who grew up steeped in the culture of such Christians and who heard many sermons about the moon “turning to blood,” I witnessed three kinds of reactions. Those who viewed themselves as saved and standing in the grace of God accepted without question—with a resignation either joyful or weary or anxious—that God’s return to judge the living and the dead was imminent. They spoke the truth as they’d heard it all their lives, but their eyes sometimes reflected the fear they tried to hide. Some of those in the pews who had not yet been saved listened in terror, their eyes filled with a fear in direct proportion to the persuasiveness of the preacher who stood before them. When the pastor invited them to the altar, they either jumped from their seats and ran to the altar or squirmed uncomfortably and then shuffled to the altar. The end result was the same. They now believed they had been saved from the fate they otherwise might suffer. Some people, though, sat stock still in their seats, eyes filled with the sorrow of knowing they could never accept the inconsistencies of a Bible they’d either read or heard about all their lives. A few of them actually got up during the prayer before the altar call and left the church. Others managed to make it to the end of the service and left the church thinking that the damnation of their souls was inevitable. Though I long ago left that world behind for a church that does not read the Bible literally and that welcomes those who struggle with the questions it raises, I have a special affinity for the those people who fear for their mortal souls. What’s even more sad is that she believed she may have caused the damnation of her children’s souls. When one of my brothers died of an opioid overdose, she agonized and told me that she wished she’d taken us to church and was happy that I’d found my way on my own. Who Will Save Them from the Blood Moon? I’ve been thinking a lot about that third group of people in the wake of this week’s blood moon. When I have the opportunity to hear their stories, I will try to share the Good News with them, just as I did with my mother and my brothers. I get impatient with former fundamentalists who turn their backs and walk away, refusing to engage in a conversation because they think it will turn into a futile argument. I also get impatient with lifelong progressives who dismiss as stupid all those who can’t walk away from a literal interpretation of holy texts. We grew up in farming country. Have you ever seen an angry lamb? Do you know that there have been many blood moons since Christ walked the earth—that there already have been two in just the last five years? I smiled. There was a time when he and I might have gotten angry with each other. Now I like to think that we’ve come to a place where we can at least hear each other and move on. And I know that some of our damaged friends and relatives who have witnessed our conversations on social media have now heard a message that I only heard because I was fortunate enough to stumble into a church with a different approach to faith. I’m thankful for a pastor who helped me realize this: My cousin and I both grew up hearing about the same wrathful God—he even moreso because his father was a preacher who taught him every day of his life to read the Bible literally. Since then, our faith journeys have taken very different paths, but we share a bond of blood that can’t be severed like an artery because of debates about blood moons. Previous PostAdvent Also Means a Coming into ViewNext PostShould Northam and Herring Resign?